MILAN (Bloomberg) -- Fiat S.p.A.'s decision to temporarily halt new investments in Italy prompted politicians and unions to ask the government to intervene to secure the industry's future in the country as car sales plunge to a 33-year low. "I would tell the government to call Fiat to ask them what their intentions are," said Pier Luigi Bersani, who heads the Democratic Party, a supporter of Prime Minister Mario Monti's government. Italy's biggest manufacturer said Wednesday it can't give "any indication concerning future investments" in the country because of the "economic crisis and current difficulties in the European auto market." Italian car sales have plummeted 20 percent through July, with deliveries this year on track to hit the lowest since 1979. CEO Sergio Marchionne is slashing spending in Italy as the country's economy contracts and unemployment shoots up. Italy entered its fourth recession since 2001 at the end of last year as Europe's debt crisis intensified. The slump has deepened in 2012 as austerity measures contributed to a 0.8 percent decline in first-quarter gross domestic product. Italy's jobless rate rose to the highest in almost 13 years in June. "It is a signal of lack of confidence in a quick recovery in the economy," Wolfango Piccoli, a political risk analyst at Eurasia Group in London, said of Fiat's announcement. "It's a reflection, not just of the struggles that Fiat is facing in Italy, but of how the wider European car market is clearly suffering." Marchionne, who has been spearheading an industrywide effort to cut excess assembly lines in Europe, has vowed to close a second Italian factory, after shuttering one last year, unless he finds a way to export cars to the United States. The CEO will give his new plan for Italy at the end of October with third- quarter results. European auto sales are set to fall for a fifth straight year as consumers hold back from making big ticket purchases. Fiat is reducing European investment by 500 million euros in 2012 after first-half deliveries in the region plunged 17 percent. PSA/Peugeot-Citroen, Europe's second-largest carmaker, announced last month plans to close a French factory and eliminate a total of 16,000 jobs. That follows an announcement from General Motors that the U.S. automaker plans to shut a German plant. 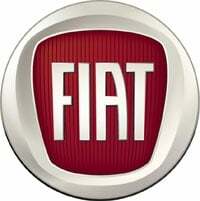 Fiat said it's focused on temporary layoffs to reduce costs during the crisis as opposed to permanent job cuts. The Turin-based manufacturer confirmed it will complete investments at plants in Grugliasco for a new Maserati sedan, in Modena for the Alfa 4C sports car and in Pratola Serra for engines. "Marchionne told us he suspended new investments in Italy, including the ones at Mirafiori," Eros Panicali, a leader of the Uilm metalworkers union, said in a phone interview after meeting the CEO. "We will meet again in a couple of months to get a clearer picture." Fiat, which employees about 63,000 workers in Italy, has plans to build at least two new models at its Mirafiori plant in Turin, investing 1 billion euros. The Italian carmaker said in February it will make a new Fiat car at the plant beginning at the end of next year and a Jeep model starting in 2014 as it aims to assemble 280,000 cars a year at its oldest facility. "The government should intervene as Italy should avoid losing the auto industry," said FIOM metalworkers union leader Giorgio Airaudo. "Fiat's plan for the country doesn't exist anymore." FIOM has opposed Marchionne's plans and didn't sign a new labor agreement to cut costs. "Demand for cars in Italy next year will be even weaker than in 2012, without any measures to sustain the market," said Jacques Bousquet, president of the UNRAE industry group. July car sales in Italy fell 21 percent to 108,826.